Tab Martin played bass for The Tornados between January and March 1963 in what was the third line up of the group. At the time The Tornados bass player Heinz Burt was leaving the band to become a solo artist and was due to star in the film �Farewell Performance�. 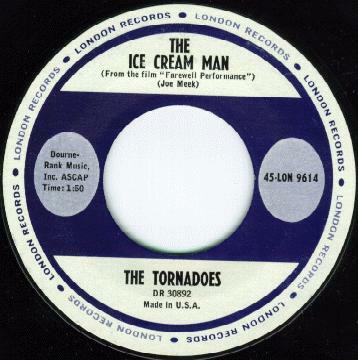 As the Tornados were also due to appear in the film playing the song �The Ice Cream Man� a new bass player was needed at short notice, Tab was selected by Joe Meek for the film and began his short stay in the group. 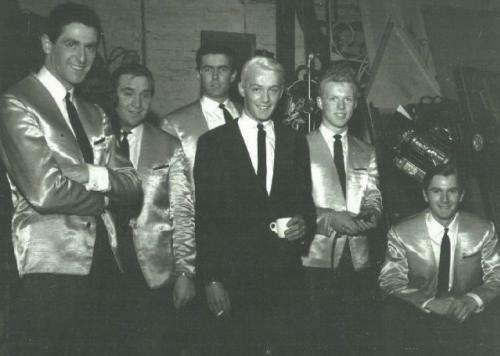 Shortly afterwards Tab joined Roy Phillips and together they formed The Saints as the backing group for Heinz. This line up played on the following records. Away from it all. LP track listing as follows. This line up plays on the tracks marked *. Indian brave* / Flycatcher / Dreams do come true* / Lullaby for Giulia* / Costamonger* / Lonely paradise* / Chattanooga choo choo / Rip it up / Alan's tune* / Cootenanny* / Night rider* / Hymn for teenagers. There are also two outtakes from this album Party spirit / Cyclone. It's not known if Tab Martin plays on these tracks.